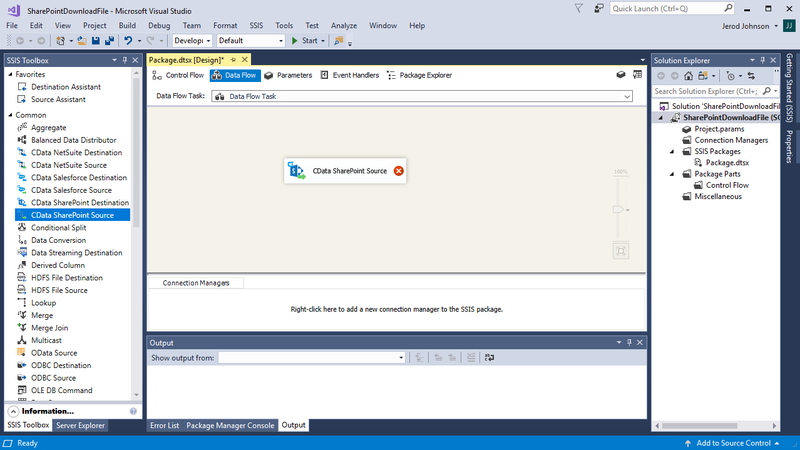 The CData SSIS Components surface additional functionality available in the underlying API as stored procedures. 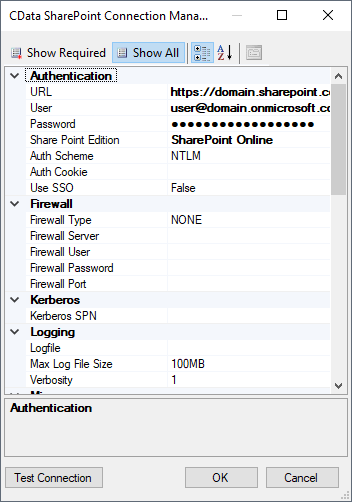 While this article uses the CData SSIS Components for SharePoint to execute the DownloadDocument stored procedure, you can follow the same process to execute the stored procedures of any CData SSIS Component to perform other actions like retrieving OAuth credentials, uploading attachments to emails, authoring reports from CRM applications, and more. 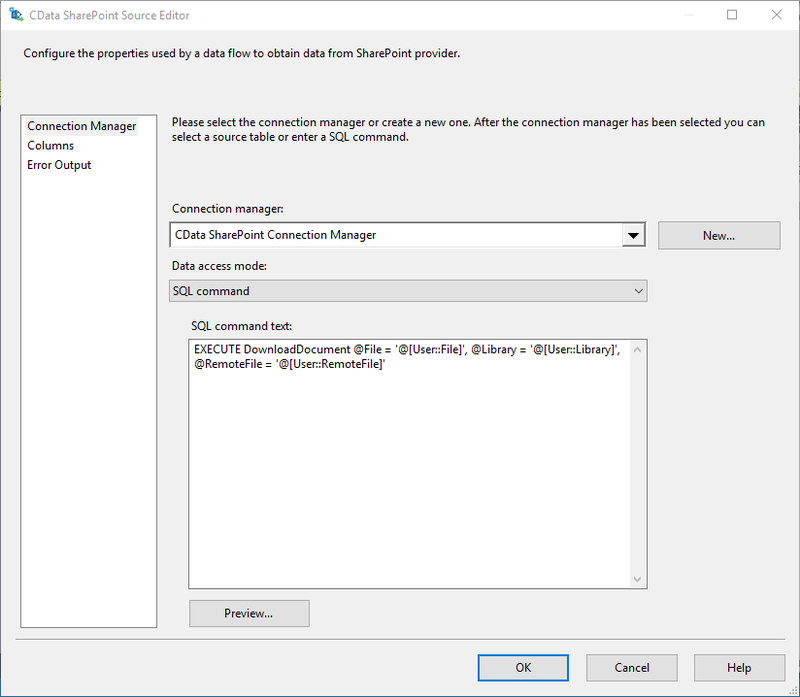 In the CData SharePoint Source, add a new Connection Manager and add your credentials for the SharePoint site. For this demo, you will want to set 'Show Hidden Columns' to True, as the sample code uses a hidden column. 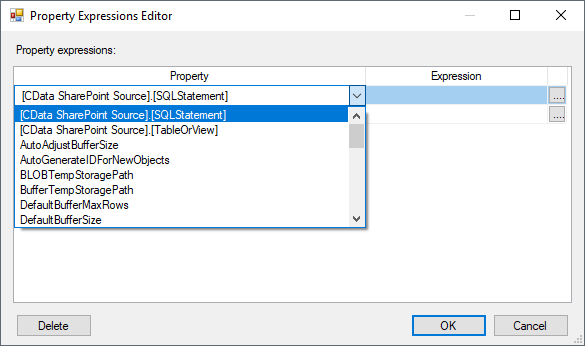 In the Source Component editor, select SQL Statement to configure the Source Component to execute a stored procedure. "EXECUTE DownloadDocument @File = '" + @[User::File] + "', @Library = '" + @[User::Library] + "', @RemoteFile = '" + @[User::RemoteFile] + "'"
After saving your Expression, you can execute the project and find the downloaded files in the download directory.